So this has cropped up on an auction site. 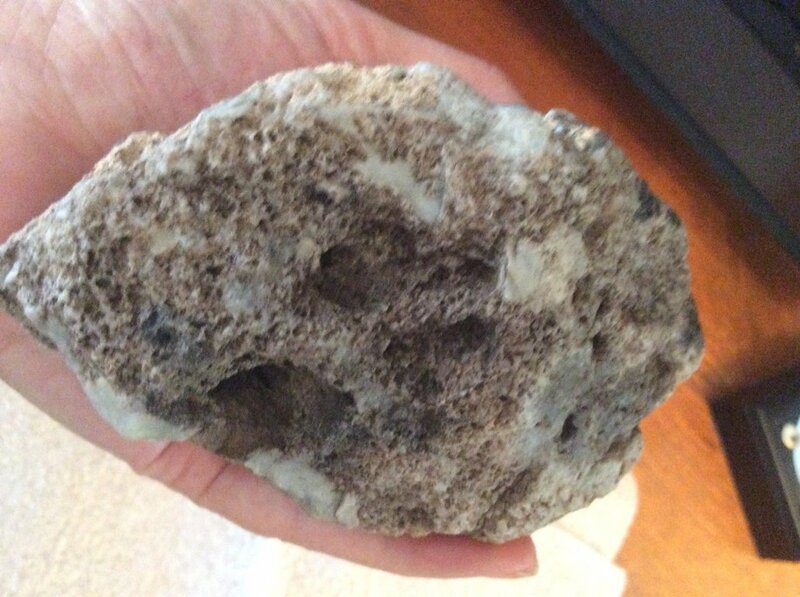 My friend is tempted by it, however I believe it to just be a rock. 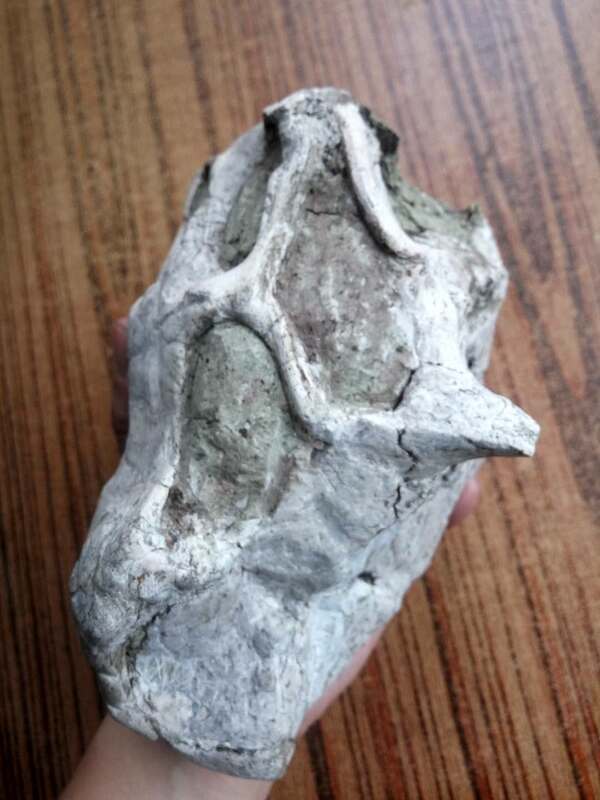 It is claimed to be a Psittacosaur Skull. 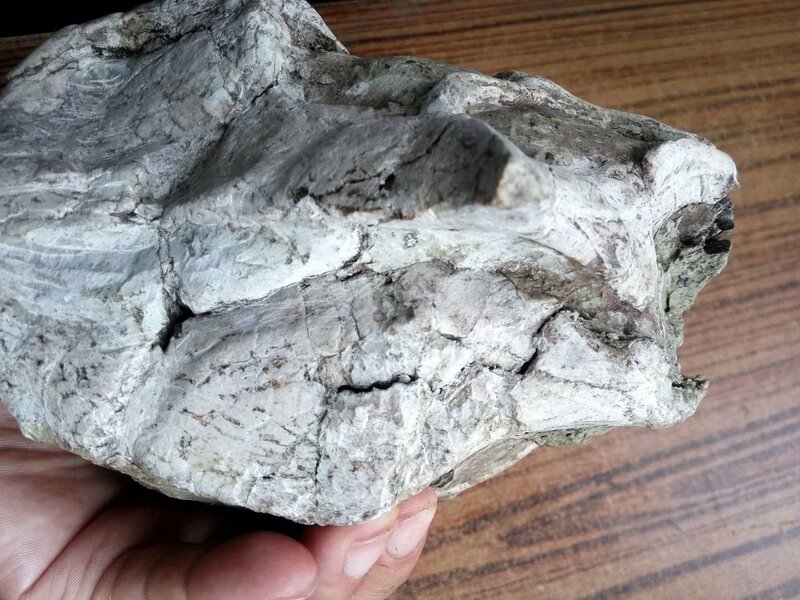 The seller claims that they acquired it off a 'geologist' however to me, it looks like an eroded rock, and lacks any characteristics of being a skull? I feel like it could potentially mislead uninformed newbies? Pictures aren't fantastic. 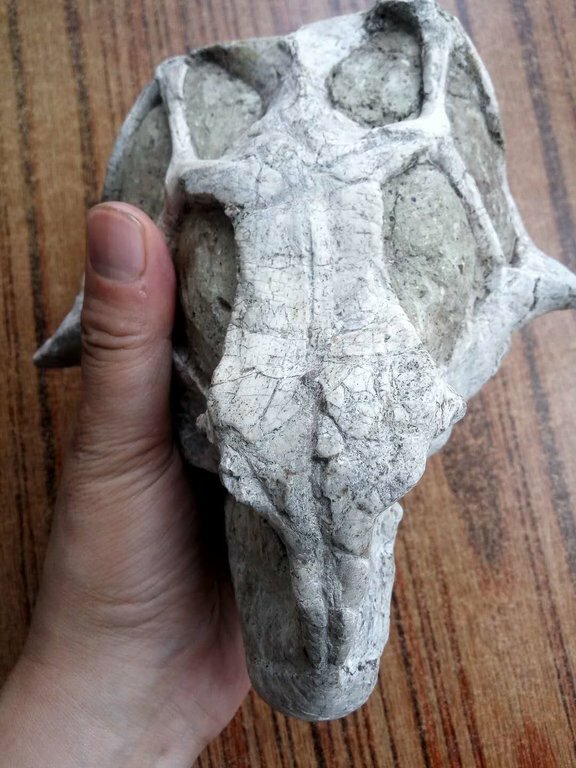 I could be totally wrong of course, however can anyone else see if it is a skull or not? 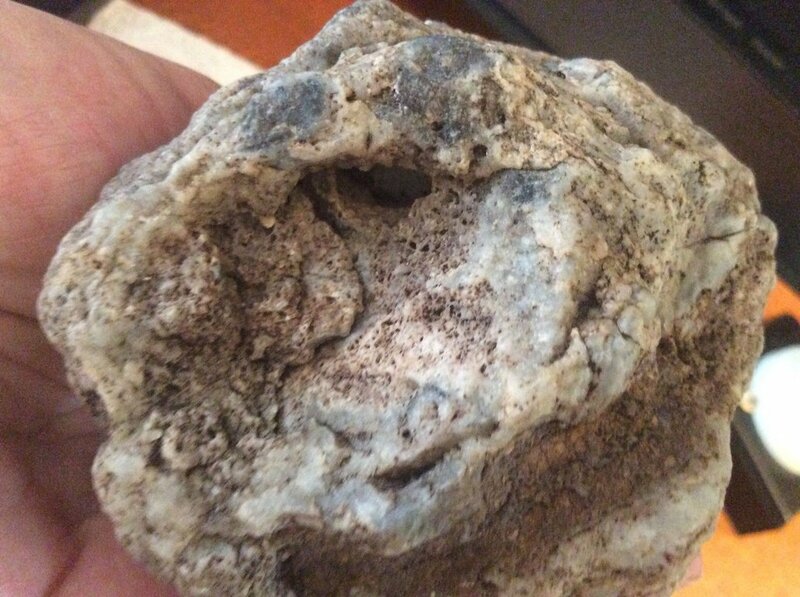 Yeah im no expert by any means, but that looks like a rock with quartz. @Raggedy Man I agree! It's scary how willing sellers are to deceive people! The great man himself Troodon said don’t blame the sellers if they have misled you , it is up to you to educate yourself. Good advice that I have tried to go by. I'm sorry buddy, but it's definitely just a rock. And this rock is completely different from what really is an authentic Psittacosaurus Skull. Congratulations on your initiative not to be seduced by a good offer, but rather to come here to educate yourself. Thank you buddy! 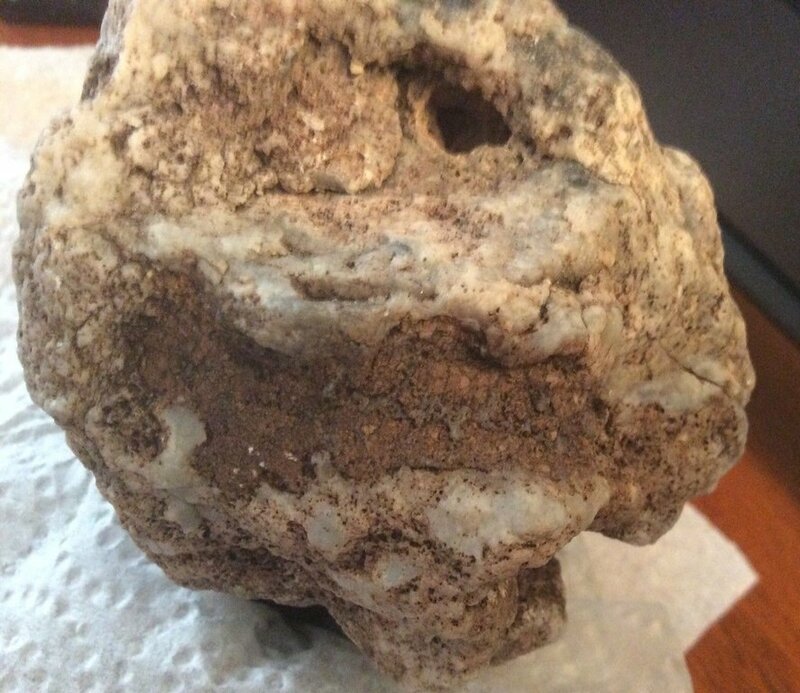 My friend was convinced, and I thought it was just a rock, we had a good friendly debate about it! I'm thankful that this forum is here to help! maybe one day he will get his hands on one! It's just a shame that some sellers are misinformed! I messaged the seller about it and they ignored me. 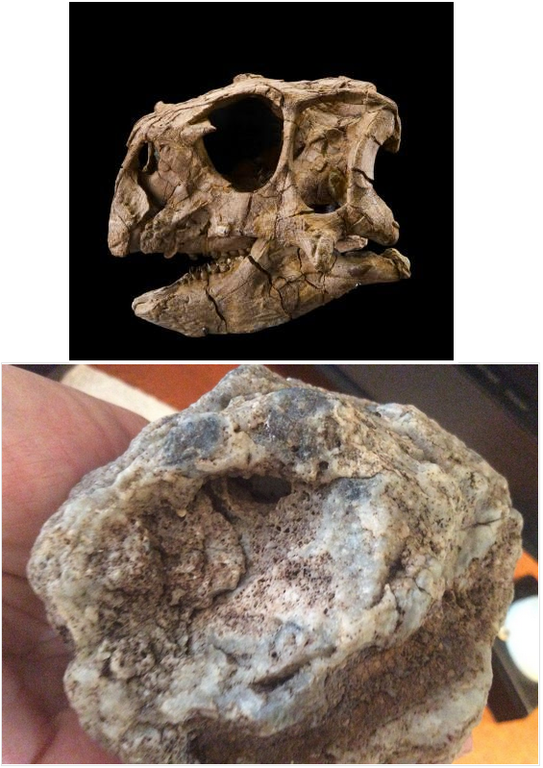 I’ve been seeing more and more of these rocks being sold as dinosaur skulls. This is a genuine psittacosaurus skull.